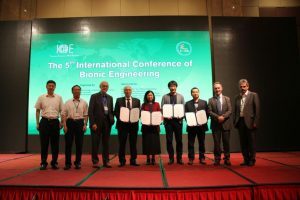 Distinguished Professor Emeritus Daniel Weihs was awarded the Outstanding Contribution Award by the International Society of Bionic Engineering. This is an international society covering research in all areas of biologically oriented engineering, including biomimetics. It awards one senior researcher for his contributions to the field, as well as secondary awards for two young researchers (under 40) and up to four graduate students for specific studies. The awards are presented as part of the events of the triannual international meeting of the society. 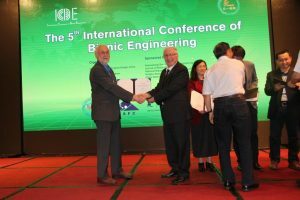 This year’s award was presented during the 5th International Conference of Bionic Engineering (ICBE 2016) in Ningbo, China in June 2016. The Award was presented by Professor Julian Vincent of the UK , President of the international society.